For every thousand who whip up hysteria and its corollary, hateful fake news, on soc­ial media, there are a few wags wielding genuine wit. 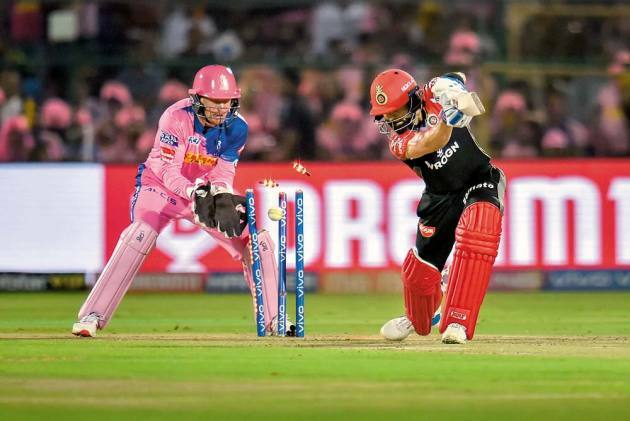 After perennial bridesmaid Royal Challengers Bangalore (RCB) crashed to their sixth straight defeat last week in IPL 2019, a gentleman on a WhatsApp cricket group posted a new expans­ion of RCB: Royals Consistently Beaten. 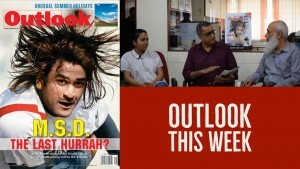 As if on cue, another asked: “Is there any provision of withdrawing a team in the middle of IPL?” Then, he added: “That was Vijay Mallya asking, not me...now he is trying OLX.” Another member leapt into the near-future: since RCB was virtually out of contention for the play-offs, captain Virat Kohli should take a break and prepare for next month’s World Cup. Indeed, for all its chest-thumping partisan support, hyper-active television commercials, star players and the aggro personified by captain Kohli, the ground reality for the RCB is that they failed to win the title in 11 previous seasons. And, with a sorry farrago of missed chances, dropped catches, top batsmen failing and terrible bowling at the death, it’s more of the same in the 12th season. This year, they have equalled the unwanted record of Delhi Capitals (previously Delhi Daredevils)—that of consecutively losing the first six matches of the IPL, when they lost to the Capitals on April 7. So utterly frustrated is Kohli with his team’s performance that he seems to have decided to eschew anger. “We’ve asked the boys to take responsibility. It hasn’t happened so far, and that’s the reality. The more we get frustrated, the more it is going to get tougher,” a downcast Kohli, abjectly said after the sixth loss. The RCB captain effectively admitted that he has given up on the team’s qualifying for the play-offs by finishing among the top four teams at the end of the round-robin league. To do that, RCB face the virtually insurmountable task of winning seven out of their next eight matches, hope for fav­ourable results from the other matches—an old imponderable—and pray that they themselves finish with an advantageous net run rate. But 30-year-old Kohli, who is captaining the RCB for the eighth successive season, isn’t hopeful of a miracle. “Personally, [I am] not trying to control the situation. There is to a certain extent that you can control, which is your own personal skill...and we expect that out of the team, too. The team should just take it easy, relax. We can’t change the situation,” he said resignedly after yet another match lost. A bunch of glum RCB players. However, RCB, the flashiest of IPL teams, and coa­ched by Gary Kirsten, who guided India to the 2011 World Cup triumph, has been distinctly unl­ucky. They came tantalisingly close to winning the title thrice—in 2009, 2011, and 2016. In the 2009 final in Johannesburg, they failed to score seven more runs against Deccan Chargers; in 2011 title clash, Chennai Super Kings (CSK) thumped them by 58 runs; and, in 2016, the RCB batsmen stopped nine runs short of the title. The jinx continues. So, what all continues to be wrong with the RCB? To start with, their main sponsor goes by the qui­rky name of ‘Wrogn’. Facetiously put, when eleven players rush about the field, ‘wrogn’ emblazoned across their chests, a vague presentiment comica­lly suggests something would go ‘wrong’. And so it has! On a sombre note, RCB’s miseries are of their own making. Their batting and bowling have failed miserably, with fielding and catching ‘complime­nting’ the two main departments. In the first six matches this season, RCB fielders have dropped 14 catches out of 33 attempts, and bowlers have committed a high number of that unpardonable howler—six no-balls, which cost them 24 runs. Gautam Gambhir, who captained Kolkata Kni­ght Riders to two IPL titles, says RCB lost the bat­tle at the auction table itself. “Actual stra­tegy is made at the player auction. When you don’t pick the right team the responsibility lies at the top [with the captain]. Also, they don’t have depth in spin department; apart from Yuzvendra Chahal, they don’t have a quality a wrist spinner,” he said. The RCB batting has relied heavily on Kohli, A.B. de Villiers, Moeen Ali, Shimron Hetmyer and the bowling on Chahal—who has been the top wicket-taker with nine thus far—Moha­m­med Siraj, Umesh Yadav and Tim Southee. But most of them have sprayed it around aimlessly. Former India pacer Irfan Pathan, now a TV commentator for IPL, feels the RCB failed to address several key requirements, or core issues. As “prime example”, he cites SunRisers Hyde­rabad (SRH). They had a middle-order issue and they addressed it by bringing in Yusuf Pathan. “But the RCB failed to sort out their main issues; it’s important to have a ‘death’ bowler, especially for their home pitch at M. Chinnaswamy Sta­dium, a veritable ‘graveyard for bowlers’. Also, they are much too dependent on Virat and de Villiers. They bought West Indian Hetmyer [for Rs.4.2 crore], but the move hasn’t clicked. In a nutshell, RCB failed to address middle-order and ‘death’ bowling issues,” Pathan tells Outlook. With the fort crumbling around him, Kohli has held his own. 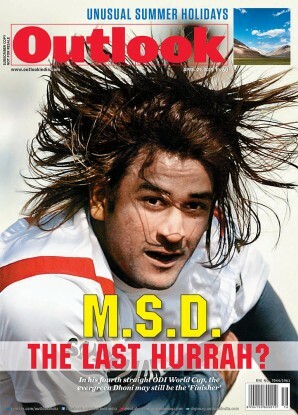 During the ongoing edition, he overtook Suresh Raina to become the all-time top run accumulator; he now has 5,151 runs. After the first six matches, his tally is 203--the highest for his team so far and the fifth highest overall—scored at an average of 33.83 and at a strike rate of 126.08. The stats could have been even better had he faced more balls; no doubt the captaincy was probably weighing him down. He has been involved in maximum century partnerships in IPL history—nine, with two separate partners, Chris Gayle and de Villiers. Kohli also holds an unhappy record—of having appeared in most loses, 87 till the loss to Delhi. That isn’t surprising, for he is the only player in IPL history to play for the same team (that too, RCB) in all 12 editions. Fugitive tycoon Vijay Mallya, himself groaning under heavy debt and facing deportation to India from the UK, purchased RCB for Rs 476 crore in 2008. But alas, his team has been known for more flamboyance than meaningful cricket, what with a slew of top film stars, like Katrina Kaif and Deepika Padukone, being brand ambassadors. A member of the WhatsApp group had the last word. “Whoever bought RCB must be thinking that it would have been better if he had bought JCB,” he wrote, referring to the leading earth moving equipment. The glorious game is pitiless too.